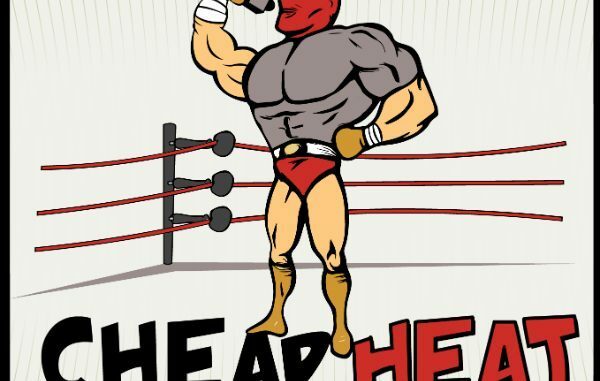 HomePODCAST RECAPSCheap Heat - Grantland SportsWRITTEN PODCAST RECAP: Cheap Heat on which legend praised Tyler Bate backstage, Backlash rundown, is Jinder on the juice? 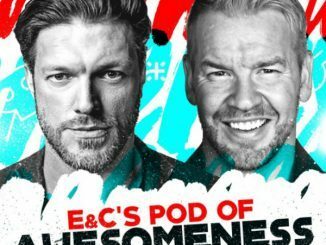 WRITTEN PODCAST RECAP: Cheap Heat on which legend praised Tyler Bate backstage, Backlash rundown, is Jinder on the juice? Episode Title: Where was Malcolm? Rosenberg and SGG felt that the best part of Backlash weekend was the UK Championship match and it was a five-star match. Rosenberg also said that Pat Patterson approached Tyler Bate and gave him amazing praise. Pat told him how great the match was and said they did a great job taking their time and letting the match breathe. SGG feels that Jinder Mahal isn’t on steroids as he isn’t the guy that WWE would risk the credibility of the Wellness Policy on. 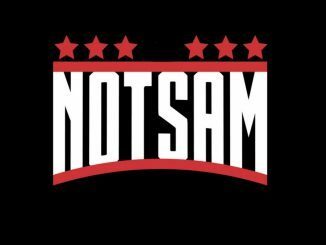 They will be releasing two new Cheap Heat T-shirts for SummerSlam weekend. SGG felt that Nakamura vs. Ziggler underperformed, but Rosenberg felt that there’s nothing they could do to live up to the expectations. SGG points out that WWE has announced that the Mae Young Classic women’s tournament will be taking place this July. This week Rosenberg kicks off the show talking about his appearance on Talking Smack after WWE Backlash. He talks about how he went back and forth with Kevin Owens on the program and they joke about whether or not Rosenberg was nervous that Owens was going to take him out. Rosenberg calls out Stat Guy Greg for the fact that he, or even better, Uptown Malcolm did not come to his defense when he was being threatened by Kevin Owens. SGG joked that nobody ever hit his music so he didn’t come out to save Rosenberg from Owens. Producer Griff weighs in with his two cents and says that SGG should’ve been there to defend Rosenberg and save him from Owens. Rosenberg feels that the best part of Backlash weekend was the UK Championship match. SGG says that he predicted it would be the match of the night and both guys felt that it was a five-star match. They felt the match even exceeded their very high expectations. Rosenberg said that he approached Tyler Bate backstage after the match and told him how incredible the match was and how great it was being perceived on the internet. Rosenberg also said that Pat Patterson approached Tyler Bate and gave him amazing praise and told him how great the match was and said they did a great job taking their time and letting the match breathe. Rosenberg felt that this was the most comfortable he’s been on a WWE Kickoff show so far and he had a great time interacting with Booker T, Ellsworth, and creepy Erik Rowan. He had a lot of fun arguing with Ellsworth and he felt that this kickoff show flowed the best to date. Next up, the guys talk about Jinder Mahal winning the WWE Championship at WWE Backlash. Both guys say that they have enjoyed this version of Jinder and they feel that Randy Orton did the job in giving Jinder a good match and a worthy main event. They talk about how funny Orton’s facial expression was after he almost killed one of the Singh brothers outside of the ring. Rosenberg said he was watching this match with Renee Young and Sami Zayn backstage and they all popped huge when Jinder won the match. Rosenberg pivots to talking about how he has been listening to other wrestling podcasts recently. He says that he understands why WWE gets annoyed with fans for claiming they have the knowledge that they don’t. For example, he says that fans saying Jinder is only being pushed because Vince likes big, muscular guys, or that he’s on steroids or that he won the title just to make a star in India is crazy. SGG feels that Jinder Mahal isn’t the guy that WWE would risk the credibility of the Wellness Policy on. Rosenberg agrees that there is no chance they put a title on a guy and just looked the other way with the Wellness Policy. SGG feels that people may not like Jinder because he didn’t work his way up, but Rosenberg says that he worked his way up by doing things like 3MB. He also said that just because he’s not an indie darling doesn’t mean he can’t get over and be given a shot. They both agree that maybe there would be a better way to tell his story and not just the standard foreign heel storyline. After briefly listening to the Hindi commentary team’s call of Jinder winning the title, the guys wonder where Rusev is. SGG thinks that he is ready to return and he’s not sure how they will bring him back. Rosenberg isn’t sure why Lana is coming back with her own new gimmick. They talk briefly about Itami vs. Roode from Takeover. They wonder why the crowd wasn’t louder when Itami hit the GTS. After that, they talk about the end of the main event and how great the swerve was. SGG initially felt the turn was coming, but when they got to the top of the ramp he was totally surprised that Ciampa turned on Gargano. Rosenberg said he ran into Paul Ellering and the Authors of Pain a couple times during the weekend and he asked them if they followed Ellering around all the time. The guys briefly talk about backstage catering and compare it to a high school cafeteria. Rosenberg said that it’s an amazing dynamic to see play out. They segue into breaking down Backlash some more and they both feel that Harper vs. Rowan was the low point of the night. Rosenberg also felt that the women’s match wasn’t handled very well. He felt that the crowd was really quiet in the beginning for Corbin vs. Zayn, but they were invested when Sami won. SGG felt that Nakamura vs. Ziggler underperformed, but Rosenberg felt that there’s nothing they could do to live up to the expectations. SGG felt that Nakamura was too vulnerable throughout the match and he was working a WWE version of strong style. His debut was a letdown for SGG. He felt that his debut against Sami Zayn in NXT was a much better match. SGG felt that the tag title match exceeded their expectations and both guys think that Breezango is absolutely hysterical these days. They compared their humor lately to the New Day and feel that Breeze and Fandango have been putting a lot of their own ideas into the gimmick. Rosenberg felt that Owens vs. Styles was the match of the night even though it didn’t have a real finish. He feels that the feud should last until SummerSlam. They weren’t sure what the point of the six women’s tag match was. Rosenberg appreciated the fact that they’re not rushing the storyline and they’re happy that Naomi will hold the title for a little while longer. After some Uptown Malcolm nonsense, Rosenberg plays a few potential options for what his theme song could be. SGG points out that WWE has announced that the Mae Young Classic women’s tournament will be taking place this July. In other news, Matt Hardy is still in talks with Impact Wrestling regarding ownership of the “Broken” gimmick. Matt Hardy claims that he owned the character and he came up with the character, but only gave Impact Wrestling permission to use the character. To close out the show Rosenberg plays some more potential song options and SGG gives some Jinder Mahal stats. This week was another solid episode. Rosenberg had some great backstage insight from being at NXT Takeover: Chicago and WWE Backlash. SGG gave some great opinions about the matches at Backlash and Takeover. Probably the only negative would be some of the random tangents. It is what makes the show great when they are good, but this week they were probably just a little too random. Jason Young is a lifelong WWE fan since his dad introduced him to the product in the mid ‘80s. He grew up outside of Boston and now lives in Norfolk, MA. Throughout his WWE fandom, he was a huge fan of Austin in the Attitude Era and his current favorites include Kevin Owens, Sasha Banks and Finn Balor. 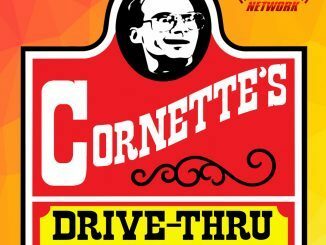 He’s been a listener of the PWTorch Livecast since 2014. For more, check out last week’s recap of Cheap Heat.